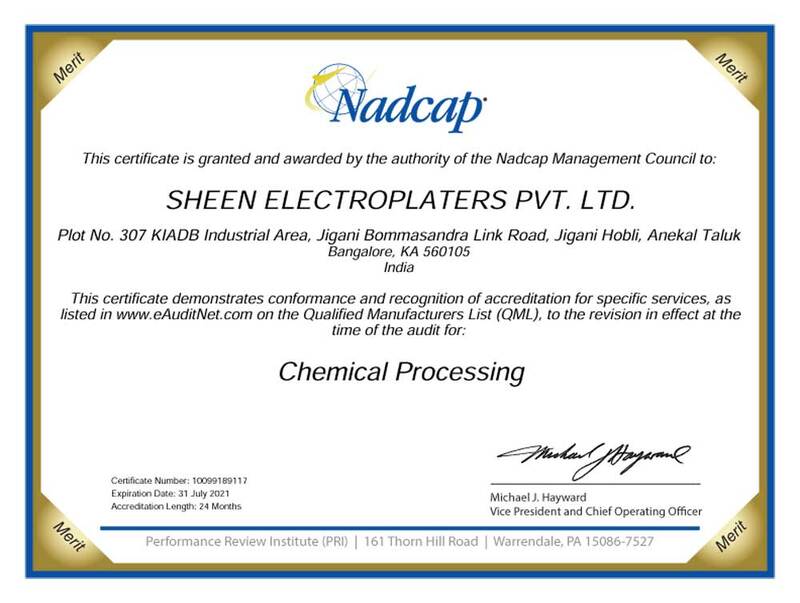 Sheen Electroplaters was officially founded in 1990. Today, we are a globally renowned service provider and an independent, well established industrial resource in the world of electroplating and surface finishing capable of handling various specialized processes for aerospace and a wide range of industries. SEPL is administered by professionally qualified directors who have the quest for exploring and putting forth exceptional ideas to achieve excellence in this field. Within our sector, we have developed distinct capabilities in various fields. Our business division is equipped with comprehensive experience, deep market insights and advanced solutions to address the specific needs of our customers. 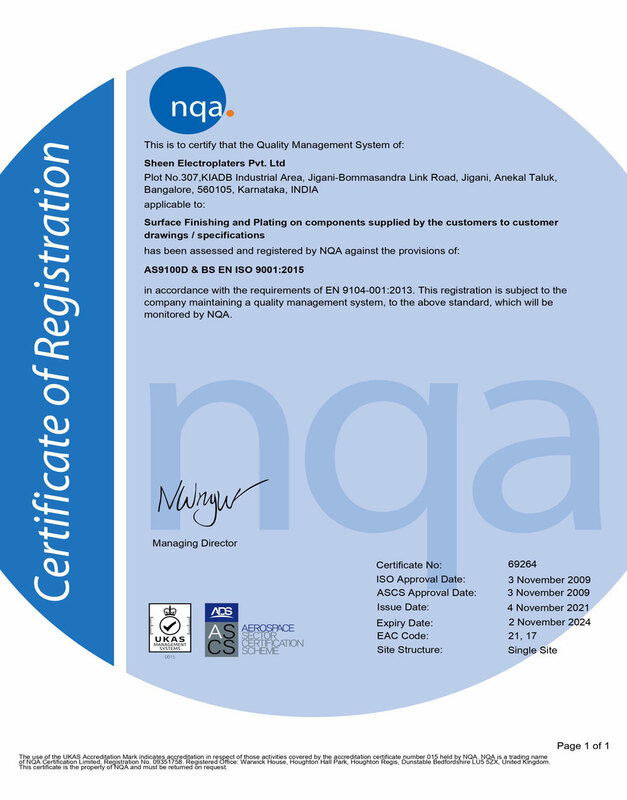 We have proven to be a fertile environment for innovation and problem solving and have established an unparalleled reputation as an approved supplier in electroplating and surface coating services to various industries for over 25 years. With a reputation for unrelenting quality and a comprehensive range of process services SEPL has become the preferred supplier for many important manufacturers. As recognised leaders in the field, our customer base extends throughout India and globally. SEPL is committed to provide surface finishing & plating on the components to customer drawing/ specifications with continual improvement in all the processes by meeting quality requirements, on time delivery and all applicable customers/ legal requirements. To be the leading global surface finishers from India and to deliver innovative solutions with at most quality, and to be more environmental friendly. Our mission is dedicated to the highest quality of both surface finishing & plating ,with complete fulfillment of customer requirement , thus ensuring customer satisfaction. We commit to encouraging our staff with a safe and competitive work atmosphere , and strives towards being environmental friendly along with efficient hard work.